The Library of Congress’s mission is to engage, inspire, and inform the Congress and the American people with a universal and enduring source of knowledge and creativity. To accomplish that mission, the Library is adopting a digital-forward strategy that harnesses technology to bridge geographical divides, expand our reach, and enhance our services. This document describes how we will secure the Library’s position in an increasingly digital world as we realize our vision that all Americans are connected to the Library of Congress. 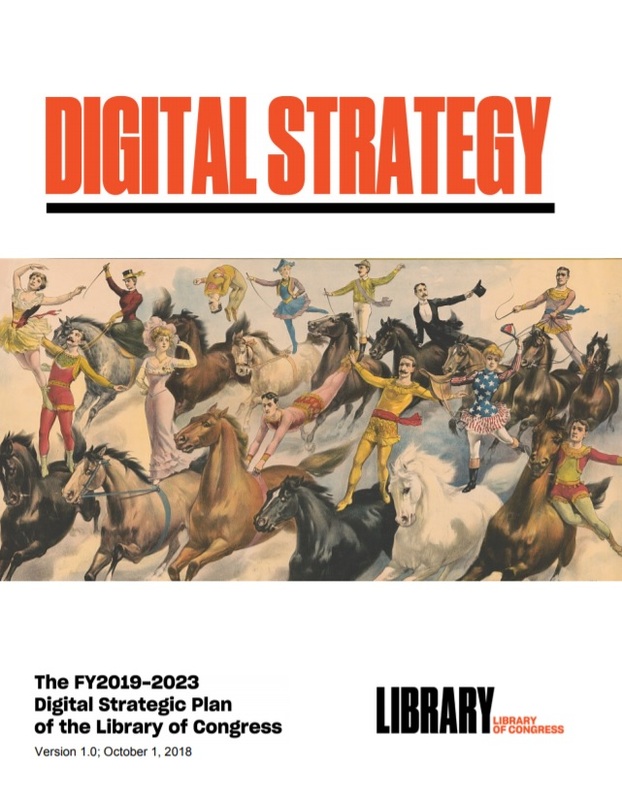 The Digital Strategy complements the Library’s 2019-2023 strategic plan, Enriching the User Experience, which enumerates four high-level goals: expand access, enhance services, optimize resources, and measure results. The Digital Strategy describes what the Library plans to accomplish, in terms of digital transformation, over the next five years to achieve these goals. The transformation we describe below applies to all of the Library’s programs, including our collections, researcher services, the United States Copyright Office, the Congressional Research Service, and the National Library Service for the Blind and Physically Handicapped.